Freedom in planning of your work time and promotional campaign. Sales agent determines the price for the equipment by himself (no lower than base cost). 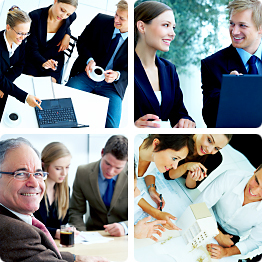 Desire to work fruitfully and to be a part of serious team of professionals. Dynamic promotion of equipment from «Antonio Merloni Cylinders Ghergo Group S.p.A.» Corporate in your region. Complete assistance for a client task (search, negotiations, advisory assistance, mounting, charging by gas). Your own outdoor advertising campaign (plates on light poles and trees, running text on local television, big posters on the roads, magazine and newspaper products). Making and issuing invoices for the payment. Gaining and enriching the knowledges in the field of independent gasification, desire to share these knowledges with others. Comprehensive partnership working conditions: 50% from the profit of the contract. Complete information and software support (commercial tool is Microsoft program). Promotional materials support: business cards and billboards layouts. Complete technical support through Skype. Organization and tracking of the delivered equipment and consumable materials for the mounting by means of a transport company (our sales agent should only chose a transport company, to meet and accompany equipment to the object) from Moscow to your region. Group of Companies «Terricom» is always interested in mutually advantageous collaboration and in expanding of representatives circle for «Antonio Merloni Cylinders Ghergo Group S.p.A.». Rely on the uniqueness and the quality of proposed equipment. PARTNERSHIP RELATIONS WITH 50% FROM THE PROFIT IS VERY RARE CHANCE! There is no table with calculation for one house with S100m2 where the price for gas 14000 tons. That everything is too easy.